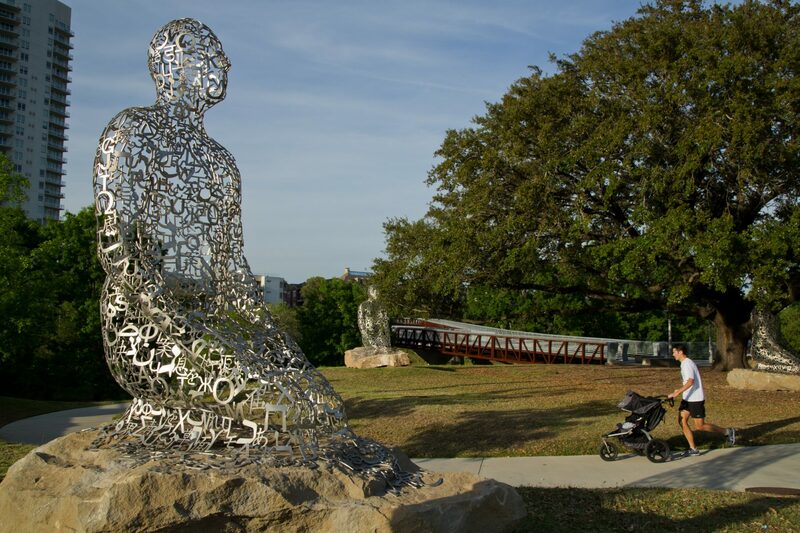 “Tolerance” by artist Jaume Plensa at Buffalo Bayou Park in Houston. Houston gets a lot of buzz for its restaurant scene and art museums. But an ongoing project aims to also make the city a headliner when it comes to urban greenspace and livability. In an article published in Houstonia’s February 2019 issue, Associate Editor Gwendolyn Knapp writes about Bayou Greenways 2020, a $220 million project to connect 150 miles of hike-and-bike trails and parks along the city’s eight bayous. The partnership between the Houston Parks Board and Houston Parks and Recreation Department is linking Buffalo Bayou, Sims Bayou, Halls Bayou, and others, and extending trails to previously underserved neighborhoods like some in northeast Houston. By the end of 2020, 3,000 acres of unused land will be converted to public park space. “It puts Houston on the map in terms of the national conversation about how cities are addressing livability and connectivity—the intersection between greenspace, mobility, and economic development,” Doug Overman, a part of Houston Parks Board, explained to Houstonia. The project fulfills the dream of the late Arthur Comey, an urban planner who in 1913 mapped out a park system for Houston based around the bayous. The construction started in 2014 with 77 miles of previously constructed unconnected trails around the city—some parts of the new trail system have opened over the past couple years. It’s on track to be completed by the end of 2020 despite minor delays from Hurricane Harvey. After the trails are completed, improvements and additions, such as quarter-mile markers, seating, and trash receptacles, will continue.